Welcome to Water Bear Games! Check out the games we’ve created, including the Tabletop Deathmatch winner Discount Salmon and BEEEEES! 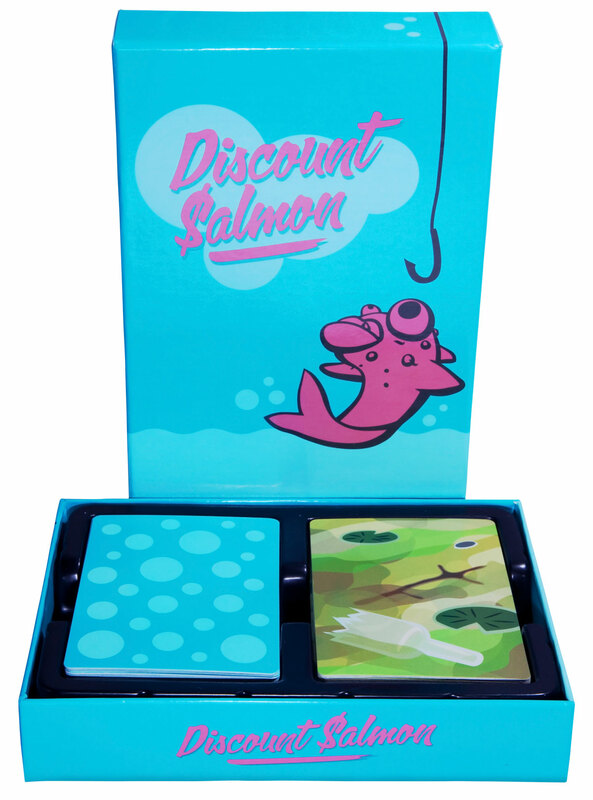 Discount Salmon is now available for purchase from our Shopify store! Water Bear Games is a tabletop games company located in Omaha, Nebraska. Our mission statement is, “Create games to bring people together irl.” As much fun as it is to play video games online, we think the best kind of get-togethers are ones where you hang out with your friends outside of your monitors. By bringing together the nerdiness of games and the social interaction of parties, board games are the best! Check out the episodes of the Tabletop Deathmatch featuring us! Also we get interviewed and receive reviews sometimes. We’d love to hear from you, whether you have any questions about our games, or would like an interview, or want to pick our brains for tabletop game creation advice, or just want to chat. We are pretty stereotypical Midwestern friendly (that’s a thing people think, right? ).